Copyright: © 2017 Rabiei S, et al. This is an open-access article distributed under the terms of the Creative Commons Attribution License, which permits unrestricted use, distribution and reproduction in any medium, provided the original author and source are credited. Recent evidences have shown that the gut microbiota is linked to intermediary metabolism, body weight and inflammation. So, it could be involved in pathogenesis of obesity, metabolic syndrome, diabetes type 1 and 2 . Researches have suggested that changes in the gut microbiota are correlated with changes in energy intake, blood glucose level, insulin concentration, lipid profile and gut peptides related to appetite . Furthermore, it has been shown that dysbiosis of the intestinal microbiota composition develops a proinflammatory state that is associated with obesity and subsequent metabolic disorders such as insulin resistance and inflammation . It seems that it is a mutual relation, such that low grade inflammation has in hence, relation to the changes in composition of intestinal gut microbiota [4,5]. Some factors such as antibiotics, infections, ageing, stress and inadequate nutrition can disturb the balance between the number of beneficial and pathogenic bacteria in the intestine . Recently it has been shown that certain species of probiotic bacteria like bifido bacteria and lactobacilli can improve balance of the intestinal microflora through increase in the number of beneficial bacteria and decrease in pathogenic bacteria and can decrease intestinal endotoxin levels. It in hence, influences on protective functions of the gut mucosa and modifies its immune responses [4,7-9]. Some animal studies have introduced pre/probiotic consumption as a new strategy to treat obesity, disorders of lipid profile, insulin resistance and inflammation [10-13] but data in humans are currently scarce and controversial. The effects of dietary pre/probiotics on energy intake, body weight, peptide YY (PYY), glucagon-like peptide-1 (GLP-1) concentrations, lipid profile, inflammatory markers and immune function are contradictory, most probably due to the different experimental designs or different species of bacteria. Recently, few studies in human and animal models have shown that dietary prebiotic consumption is associated with improvements in satiety and reduction in postprandial glucose and insulin resistance . On the other hand, some authors have asserted that the use of probiotic without prebiotic accompaniment cannot be so effective, because the probiotic bacteria may arrive to the colon before their metabolic activation. So, they have suggested combination of a probiotic with a prebiotic to get better outcomes . Therefore, we investigated the effects of a multispecies synbiotic supplement consisting of 7 strains of probiotic bacteria with a prebiotic component, on body mass index (BMI), metabolic and inflammatory biomarkers and intestinal anorexigenic peptides in patients with metabolic syndrome in Iran. For calculating the sample size, we considered at least 30mg/dl difference in mean of fasting blood glucose between synbiotic and placebo groups at the end of the study to reject the null hypothesis . Based on the mean and standard deviation in previous studies , we considered 20 people in each group with an α of 0.05 and a power of 0.80. To consider the dropout rate, we chose 23 people in each group. Therefore, the total sample size of this trial was 46. The present study was a parallel triple blind randomized clinical trial. A total of 46 female and male volunteers aged 25-70, with BMI ≥ 25 kg/m2, with at least three determinant of metabolic syndrome including (FBS ≥ 100 mg/dl, waist circumference ≥ 90 cm and 80 cm for males and females, respectively, blood pressure ≥ 130/85 mmHg), not smoking, pregnant and lactating, without a diagnosis of thyroid disorders or kidney disease, not taking multivitamin-mineral supplements, omega-3, oral contraceptive peel, estrogen, progesterone, corticosteroids and insulin, not consuming green tea, not being a vegetarian and not taking any kind of antibiotic drugs from 1 month before the study were recruited from health services centers in district 2 in Tehran. Recruitment was done via attendant in these centers, the telephone and advertisements. Patients who took antibiotic during the study, consumed less than 800 or more than 4200 Kcal/daily according to 3-day food recalls, consumed less than 2/3 of synbiotic/placebo capsules or missed any inclusion criteria during the study, were excluded from the study. All patients were allowed to continue their usual medication. Prior to the trial, a full explanation concerning the purpose and methodology of the study was given to the participants by the researchers and written informed consent was obtained from all participants. The present study was conducted according to the guidelines laid down in the Declaration of Helsinki and all procedures involving human subjects were approved by the Ethics Committee of the Iranian National Institute of Nutrition and Food Technology and it was registered in Iranian Registry of Clinical Trials (IRCT2013111115368N1). Information on anthropometric measurements was collected at the beginning, at week 6 and at the end of the trial (week 12). Body weight was measured using a scale (Seca, Hamburg, Germany) with 0.1 kg accuracy without shoes and with light clothing. Heights were measured using a statiometer (Seca) with 0.1 cm accuracy without shoes. Body mass index (BMI) was calculated by dividing weight (kg) by height squared (m2). At the end of each 3 interval, body weight was measured. For assess the calorie, carbohydrate, protein, fat, cholesterol, saturated and unsaturated fatty acids, calcium, fiber, vitamin A, D, E and C intake, we used 3-day food recall questionnaires for each 3 time interval that completed by a trained nutritionist. Nutritionist IV software was used for dietary intakes analysis. A physical activity questionnaire was used to assess physical activity of patient at first and the end of study. Reproducibility and validity of this questionnaire was confirmed in a study of Kelishadi et al. in Iran . The volunteers were told to continue to their usual physical activity during the study. For biochemical measurements, blood samples were collected in the beginning and at the end of the study (week 12). The 12-14 h overnight fasting blood samples were collected in the morning from the antecubital vein in the arm. The serum samples were frozen immediately at −80°C until assay at the end of the study. Participants were randomly allocated in 2 groups using a stratified randomization procedure with matched subjects in each group based on BMI. Each group consisted of 23 patients. Every person in each group received a diet in order to his/her ideal body weight that was 500 kcal lower than actual energy need. So that we calculated an ideal body weights by multiply the height in a normal BMI and then, calculated energy requirement in order to Harris-Benedict formula based on the ideal body weight for each person. Then, we subtracted 500 calorie of it for weight reduction. Since each 1 kg weight reduction needs to reduction of 7000 Kcal intake, we considered a reduction of 500 Kcal in daily energy intake to achieve to almost 2 kg weight reduction in each month, through proper adherence to the diet. Furthermore, since all of our participant had FBS more than 100 mg/dl, we considered carbohydrate distribution (i.e., 15% for breakfast, 12.5% for before noon snack, 25% for lunch, 12.5% for afternoon snack, 25% for dinner, 10% for before bedtime snack) in their diet. Since all of the participants were patient with metabolic syndrome and were overweight or obese, we gave the weight loss diet to all of them, regardless of being in intervention or placebo group, not only for eliminating the effects of calorie intake as a confounding factor, but also for the ethical consideration. All of the diets were designed by a trained nutritionist. Over 12 weeks, the symbiotic group (intervention) and control group (placebo) consumed 2 synbiotic or placebo capsules, after breakfast and dinner, respectively. All participants were instructed to maintain their usual physical activity and to avoid consuming any pre/ probiotic product. Monitoring for compliance was carried out once per week through phone interviews and periodical visits in the diet therapy clinic of SBMU. Both types of capsules were white, 250 mg made by Probiotics International Limited based in Somerset, United Kingdom. Each synbiotic capsule consisted of Lactobacillus casei, Lactobacillus rhamnosus, Streptococcus thermophilus, Bifidobacteriumbreve, Lactobacillus acidophilus, Bifidobacteriumlongum, Lactobacillus bulgaricus, FOS (Fructooligosaccharide - Prebiotic), Magnesium stearate (source: mineral and vegetable), Vegetable capsule (hydroxypropyl methyl cellulose) TVC: 2×108 CFU, for all of the bacteria. The amount of FOS was 125 mg in each capsule. The placebo contained maltodextrine. Both synbiotic and placebo were packed in identical capsules and coded by the producer to guarantee blinding. So, neither the patients nor the investigators were aware of treatment assignments. Moreover, the statistical councilor was not aware of treatment in this triple blind trial. The statistical tests were conducted using SPSS (version 11.5; SPSS, Inc., Chicago, IL, USA). The normality of the distribution of variables was determined by the Kolmogorov- Smirnov test. Chi-square test was used to qualitative comparisons. Student t-test was used to comparison between groups. Paired t-test was used to comparison within each group for those variables that were measured only in the beginning and at the end of the study. Multiple comparisons were conducted by the analysis of variance for repeated measurement and Bonferroni post hoc test for those variables that were measured in 3 interval times. P ≤ 0.05 was considered as statistically significant. From a total of 46 participants, 6 patients were excluded from the study for the reasons including traveling (1 patient), emergency surgery (1 patient), irregular consumption of capsules (2 patients) or not return on specified time (2 patients). So, 40 patients (20 patients in each group) completed the study. The mean value and standard error of age for the synbiotic and placebo groups was 57.1 ± 1.5 years and 60.8 ± 1.6 years, respectively, that was not statistically significant between two groups. The Chi-square test showed that there were 6 (26.09%) males and 17 (73.91%) females in synbiotic group and 7 (30.4%) males and 16 (69.6%) females in placebo group without any significant difference between two groups. The percent of probiotic product consumers did not have any significant difference between two groups (15% in synbiotic, 10% in placebo). Two groups did not have any significant differences in the other baseline characteristics including physical activity and current medications (drugs to reduce glucose, lipid and blood pressure). Furthermore, two groups did not have any differences in macronutrients intake (data are not shown). Table 1 shows that weight; BMI and calorie intake had a similar distribution between two groups in the beginning of the study, based on independent T-test. Analysis for repeated measurement showed a significant reduction in weight, BMI and calorie intake at week 6 and 12 compared with beginning of the study in both groups (P<0.001). Moreover, there was a significant reduction in weight and BMI between week 6 and week 12, only in synbiotic group (P<0.001). The mean changes of weight and BMI in synbiotic group was significantly more than in control group (P<0.001). Table 1 Anthropometric measurement and calorie intake before, during and at the end of the study (Mean value ± Standard Error) and mean changes from baseline by treatment group. Table 2 shows the mean value and standard error for metabolic, hormonal and inflammatory biomarkers in the beginning and at the end of the study. In the beginning of the study, all of these variables showed a similar distribution between two groups according to independent T-test. At the end of the study, FBS in synbiotic group was significantly lower than placebo group (P<0.05). The mean difference of FBS, insulin and HOMA-IR showed a significant difference between two groups according to T-test, such that the mean changes in symbiotic group was significantly more than in control group (P<0.001). Furthermore, FBS, Insulin and HOMA-IR decreased significantly at the end of the study comparing with the beginning of it, in synbiotic group (P<0.05). There was a significant difference for GLP-1 between two groups at the end of the study. The mean difference of GLP-1 also showed a significant difference between two groups according to T-test and it was significantly more in synbiotic than in control (P<0.001). Moreover, according to paired t-test, GLP-1 and PYY concentration increased significantly at the end of the study comparing with the beginning of it, only in synbiotic group (P≤0.05). IL-6 and hs-CRP decreased in both groups at the end of study, but it was not significant. Table 2 Metabolic, hormonal and inflammatory biomarkers before and at the end of the study (Mean value ± Standard Error) and mean changes from baseline by treatment group. The present study showed that synbiotic supplementation plus a weight loss diet in patients with metabolic syndrome decreases weight, BMI, FBS, insulin concentration, HOMA-IR, and increasesGLP-1 and PYY level, significantly. We also found that synbiotic supplementation plus a weight loss diet may delay plateau phase of weight loss comparing to a weight loss diet alone. In our study, we found a significant weight loss in both groups. Although weight and BMI decreased in both groups after 12 weeks, the amount of decrease in synbiotic group was significantly more than in placebo group. Our findings are relatively consistent with Sanchez et al. and Tripolt et al. that showed a significant weight loss in both groups, however, the mean change of weight loss between two groups was not significant. Lee et al. also showed a significant weight reduction in probiotic and placebo groups but non-significant differences in metabolic markers . Our findings are partly similar to Zarrati et al. suggested that the weight-loss diet plus a probiotic yogurt had more synergistic effects on fat percentage and body weight among overweight and obese individuals compared with the weight-loss diet without the probiotic yogurt [23,24]. As we mentioned in the method section, both groups received a calorie restricted diet according to their ideal body weight. So, the observed weight loss in the both groups was not unexpected. One of the interesting point of our study was the difference in the weight loss trend between the synbiotic group and the placebo group; Such that the trend of losing weight in synbiotic group continued until the week 12, while it was stopped after week 6 in placebo group. We suggest that synbiotic supplementation plus a weight loss diet compare with a weight loss diet alone, may postpone plateau phase of weight loss that usually occurs few weeks after a weight loss diet, although duration of our study was not so long to conclude it certainly. By the way, we may suggest that weight maintenance is more probable after consumption of synbiotic comparing to not consumption of it. We may conclude that synbiotic supplement may relatively eliminate resistance to weight loss, at least for 12 weeks. It may be for the reason of decrease in appetite of patients, following increase in GLP-1 and PYY level as anorexigenic neurotransmitters . Furthermore, we found that synbiotic consumption increases GLP-1 and PYY level in patients with metabolic syndrome, significantly. Although GLP-1 increased in both groups after 12 weeks, the amount of increase in synbiotic group was significantly more than in placebo group. As mentioned above, increase in GLP-1 secretion as an anorexigenic neurotransmitter may lead to increase in feeling of satiety and it in hence, may cause to weight loss, although we did not measure self-reported feeling of satiety in our participants. For further confirmation it would be beneficial to evaluate self-reported feelings of satiety before and after synbiotic supplementation in future studies. Some authors suggest that increase in GLP-1 secretion after probiotic consumption, is associated with the increase in production of butyrate . The exact mechanisms to explain the increase in GLP-1 secretion by probiotic bacteria are still matter of debate. Our study also showed that when a weight loss diet be accompanied with the synbiotic supplementation, the amount of decrease in FBS, insulin and HOMA-IR will be significantly more than when a weight loss diet is used alone. In order to results of a meta-analysis including 26 randomized controlled trials conducted between January 2000 and September 2013, involving 831 participants, prebiotic supplementation was associated with reduction in postprandial glucose (- 0.76, 95% CI – 1.41, - 0.12) and insulin concentrations (- 0.77, 95% CI – 1.50, - 0.04). Probiotic bacteria can influence blood glucose and insulin level through different mechanisms including decrease in glucose absorption, consumption of glucose as their primary source of energy, decrease in adiposity, changing the gut permeability, reduction in inflammatory signaling and up-regulation of expression of proglucagons. Furthermore, consumption of probiotics might affect the signaling pathway of insulin secretion. It also may improve insulin resistant due to increase in hepatic natural killer T cells and reduction in the inflammatory response [27-30]. So, the beneficial effects of probiotic bacteria on insulin concentration might be mediated through their effects on a surrogate measure of inflammation named high-sensitivity C-reactive protein . There are some reports that have shown that insulin resistance and increased CRP concentrations are significantly associated with several cardiovascular risk factors, such as hypertension, dyslipidemia and overweight which are of determinants of metabolic syndrome . According to the Third National Health and Nutrition Examination survey, the prevalence of elevated CRP levels (i.e., CRP concentrations ≥ 0.22 mg/dl) is higher in overweight and obese patients than in normal weight subjects . Some authors have suggested that the association between CRP and BMI may be mediated by cytokines, such as IL-6 and TNF-α, which are expressed in adipose tissue  and are of the main regulators of CRP production in the liver [33,34]. On the other hand, Nestel et al. has proposed that inhibition of proinflammatory cytokines would prevent insulin resistance [35,36]. The effects of probiotics on insulin resistance can also be explained through reduction in hsCRP and inflammation . We found a reduction in hs-CRP level after synbiotic supplementation; although it was not statistically significant. We should note that hs-CRP level in all our participants were in the high risk category (i.e. ≥ 3 mg/l). At the end of the study, its' level remained in high risk category in placebo group, but it shifted to moderate risk category in synbiotic group (i.e. 1-3 mg/l). So, we concluded that although synbiotic supplementation did not have any statistical significant effect on hs- CRP level, it may have a beneficial clinical significance in inflammation reduction. We also found a reduction in IL-6 after 12 weeks in the synbiotic group, although, it was not statistically significant. It may be for the reason of small sample size or relatively short duration of the study. It is also important to know that short chain fatty acids (SCFAs) as products of probiotic bacteria fermentation, have anti-inflammatory function, probably due to making a balance between induction of anti-inflammatory cytokines and suppression of pro-inflammatory mediators, such as TNF-α and IL-6 . Some investigations in both animal and human models have shown that SCFAs have been linked to increase in GLP-1 secretion . Moreover, butyrate as a SCFA seems to play an important role in the prevention of metabolic disorders such as obesity and diabetes [26,40]. Gao et al. have shown that adding butyrate to the high-fat diet increased insulin sensitivity and reduced obesity in C57BL/6 mice . According to a metagenomic study, butyrate-producing bacteria abundance in obese subjects is lower than in lean subjects . Although, we could not show these mechanisms in our study, because we did not evaluate microflora before and after synbiotic supplementation. On the other hand, some authors have suggested that SCFAs produced by probiotic bacteria fermentation can cause a decrease in the systemic levels of blood lipids . Probiotic bacteria can assimilate cholesterol directly from the gastrointestinal tract. They have also been shown to deconjugate bile salts and hence have an effect on absorption of cholesterol . In addition to butyrate, fermentation by probiotic bacteria produced acetate and propionate which are passed into the liver and enter the metabolic pathways . Moreover, probiotics have the ability of competition with cholesterol for intestinal absorption. So, they might reduce serum cholesterol levels in this way . We showed a reduction in TG level in both groups, however it was not significant. The cholesterol serum level, HDL and LDL also remained unchanged during the study. It was consistent with Mazloom et al. findings which showed none significant difference in serum TG concentration, total cholesterol, HDL-C and LDL-C levels between placebo and treatment groups . There are also the other studies that did not show any effect of probiotic consumption on lipid profile . For example, Chang et al. showed none significant change on lipid profile in healthy people using 300 ml prebiotic yogurt for 8 weeks [48,49]. Moreover, Hemalatha et al. in a study from their lab showed that only probiotics containing bile salt hydrolase (BSH) gene can reduce cholesterol . These controversial findings may be attributable to different strains of probiotics, dosage or duration of treatment in different studies. We should also mention that the cholesterol level of our patients was within the normal range at the beginning of the study. Therefore, we may conclude that synbiotic supplementation does not any effect on cholesterol level of normocholestrolemic patients. One of our limitations was that we could not evaluate the colon micro flora before and after supplementation. It is recommended in future studies. The other limitation was relatively small sample size and short duration of study. Some studies with longer duration are suggested especially to assess the effect of synbiotic supplementation on plateau phase of weight loss. We also suggest to assess feeling of satiety to confirm the exact mechanism of GLP-1 on satiety. According to this triple blind randomized clinical trial, synbiotic supplementation accompany with a weight loss diet improves BMI, FBS, insulin resistance and HOMA-IR. It also increases GLP-1 and PYY in patients with metabolic syndrome. Furthermore, synbiotic supplementation plus a weight loss diet may delay resistant to weight loss following a restricted calorie diet, at least until 12 weeks, comparing with a weight loss diet alone. This work was supported by National Nutrition and Food Technology Research Institute of Shahid Behehshti University of Medical Sciences. Authors would like to thank the PROTEXIN Company, England, for providing the multispecies synbiotic supplements and placebo capsules for the present study. We are also grateful to Nicootec Company, Tehran, Iran, for their cooperation to provide these capsules. We appreciate the cooperation of the Health Services Centres’personnel in district 2, Tehran, Iran, and the patients in this study. Authors have nothing to disclose. We declare that there are no conflicts of interest. Pataky Z, Bobbioni-Harsch E, Hadengue A, Golayet A (2009) Gut microbiota, responsible for our body weight? Rev Med Suisse 5: 662-664. Parnell J, Reimer R (2012) Prebiotic fiber modulation of the gut microbiota improves risk factors for obesity and the metabolic syndrome. Gut Microbes 3:29-34. Musso G, Gambino R, Cassader M (2010) Obesity, diabetes, and gut microbiota: the hygiene hypothesis expanded? Diabetes Care 33: 2277-2284. Cani PD, Delzenne NM, Amar J, Burcelin R (2008) Role of gut microflora in the development of obesity and insulin resistance following high-fat diet feeding. Pathol Biol 56: 305-309. Tilg H, Kaser A (2011) Gut microbiome, obesity, and metabolic dysfunction. J Clin Invest 121:2126-2132. Drisko J, Giles C, Bischoff B (2003) Probiotics in health maintenance and disease prevention. Altern Med Rev 8: 143-155. Goldin B, Gorbach S (2008) Clinical indications for probiotics: An overview. Clin Infect Dis 46: S96-S100. Rautava S, Isolauri E (2003) Gut microbiota and the intestinal immune system in food allergy - targets for probiotic therapy. Food Allergy Intolerance 4: 5-31. Shi H, Walker A (2004) Bacterial colonization and the development of intestinal defences. Can J Gastroenterol 18: 493–500. Wang J, Tang H, Zhang C, Zhao Y, Derrien M, et al. (2014) Modulation of gut microbiota during probiotic-mediated attenuation of metabolic syndrome in high fat diet-fed mice. ISME J 9: 1-15. De Preter V, Hamer H, Windey K, Verbeke K (2011) The impact of pre- and/or probiotics on human colonic metabolism: does it affect human health? Mol Nutr Food Res 55: 46-57. Teixeira T, Collado M, Ferreira C, Bressan J, PeluzioMdo C (2012) Potential mechanisms for the emerging link between obesity and increased intestinal permeability. Nutr Res 32: 637-647. Lesniewska V, Rowland I, Cani P, Neyrinck AM, Delzenne NM,et al. (2006) Effect on components of the intestinal microflora and plasma neuropeptide levels of feeding Lactobacillus delbrueckii, Bifidobacteriumlactis, and inulin to adult and elderly rats. Appl Environ Microbiol 72: 6533-6538. Asemi Z, Samimi M, Tabassi Z, Naghibi Rad M, RahimiForoushani A, et al. (2013) Effect of daily consumption of probiotic yoghurt on insulin resistance in pregnant women: a randomized controlled trial. Eur J Clin Nutr 67: 71-74. Ejtahed H, Mohtadi-Nia J, Homayouni-Rad A, Niafar M, Asghari-Jafarabadi M, et al. (2011) Effect of probiotic yogurt containing Lactobacillus acidophilus and Bifidobacteriumlactis on lipid profile in individuals with type 2 diabetes mellitus. J Dairy Sci 94: 3288-3294. Fuller R (1989) Probiotics in man and animals. J Appl Bacteriol 66: 365-378. Ejtahed H, MohtadiNia J, Homayouni Rad A, Niafar M, Jafarabadi MA, et al. (2011) The effects of probiotic and regular yogurt on blood glucose and insulin resistance in pateints with type 2 diabetes: Clinical control randomaized trial. 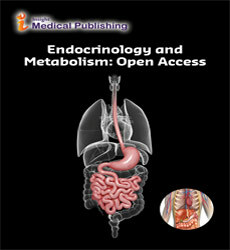 Iranian Journal of endocrine and metabolism 13: 1-8. Kelishadi R, Rabiee K, Khosravi A, Shirani S, Ayaza HR, et al. (1380) Association of physical activity pattern of adolecencein Isfahan. Shahrekord university of medical sciences 3: 55-65. Friedewald WT, Levy RI, Fredrickson DS (1972) Estimation of the concentration of low-density lipoprotein cholesterol in plasma, without use of the preparative ultracentrifuge. Clin Chem Biol Interact 18: 499-502. Sanchez M, Darimont C, Drapeau V, Emady-Azar S, Lepage M, et al. (2014) Effect of Lactobacillus rhamnosus CGMCC1.3724 supplementation on weight loss and maintenance in obese men and women. Br J Nutr 111: 1507-1519. Tripolt N, Leber B, Blattl D, Eder M, Wonisch W, et al. (2013) Short communication: Effect of supplementation with Lactobacillus caseiShirota on insulin sensitivity, β-cell function, and markers of endothelial function and inflammation in subjects with metabolic syndrome--a pilot study. J Dairy Sci 96: 89-95. Lee S, Bose S, Seo J, Chung WS, Lim CY, et al. (2013) The effects of co-administration of probiotics with herbal medicine on obesity, metabolic endotoxemia and dysbiosis: A randomized double-blind controlled clinical trial. Clin Nutr 13: 329-324. Zarrati M, Salehi E, Nourijelyani K, Mofid V, Zadeh MJ, et al. (2014) Effects of probiotic yogurt on fat distribution and gene expression of proinflammatory factors in peripheral blood mononuclear cells in overweight and obese people with or without weight-loss diet. J Am Coll Nutr 31: 1-9. Rabiei S, Shakerhosseini R, Saadat N (2015) The effects of synbiotic therapy on anthropometric measures, body composition and blood pressure in patient with metabolic syndrome: a triple blind RCT. Med J Islam Repub Iran 26: 213. Kellow N, Coughlan M, Reid C (2014) Metabolic benefits of dietary prebiotics in human subjects: A systematic review of randomised controlled trials. Br J Nutr 13: 1-15. Yadav H, Lee JH, Lloyd J, Walter P, Rane SG (2013) Beneficial metabolic effects of a probiotic via butyrate-induced GLP-1 hormone secretion. J Biol Chem 288: 25088-25097. Ma X, Hua J, Li Z (2008) Probiotics improve high fat diet-induced hepatic steatosis and insulin resistance by increasing hepatic NKT cells. J Hepatol 49: 821-830. Kondo S, Xiao J, Satoh T, Odamaki T, Takahashi S, et al. (2010) Antiobesity effects of Bifidobacteriumbreve strain B-3 supplementation in a mouse model with high-fat diet-induced obesity. Biosci Biotechnol Biochem 74: 1656–1661. Esteve E, Ricart W, Fernández-Real J (2011) Gut microbiota interactions with obesity, insulin resistance and type 2 diabetes: did gut microbiote co-evolve with insulin resistance? Curr Opin Clin Nutr Metab Care 14: 483-490. Tabuchi M, Ozaki M, Tamura A, Yamada N, Ishida T, et al. (2003) Antidiabetic effect of Lactobacillus GG in streptozotocin-induced diabetic rats. Biosci Biotechnol Biochem 67: 1421–1424. Rohde LEP, Hennekens CH, Ridker PM (1999) Survey of C-reactive protein and cardiovascular risk factors in apparently healthymen. American Journal of Cardiology 84: 1018-1022. Visser M, Bouter LM, McQuillan GM , Wener MH, Harris TB (1999) Elevated C-reactive protein levels in overweight and obese adults. Journal of the American Medical Association 282: 2131-2135. Hotamisligil GS, Arner P, Caro JF, Atkinson RL, Spiegelman BM (1995) Increased adipose tissue expression of tumor necrosis factor in human obesity and insulin resistance. J Clin Invest 95: 2409-2415. Purohit A, Ghilchik MW, Duncanet L, Wang DY, Singh A, et al. (1995) Aromatase activity and interleukin-6 production by normal and malignant breast tissues. J Clin Endocrinol Metab80: 3052-3058. Baumann H, Gauldie J (1994) The acute phase response. Immunology Today 15: 74-80. Papanicolaou DA, Wilder RL, Manolagas SC, Chrousos GP (1998) The pathophysiologic roles of interleukin-6 in human disease. Ann Intern Med 128: 127-137. Nestel PJ, Connor WE, Reardon MF (1984) Suppression by diets rich in fish oil of very low density lipoprotein production in man. J Clin Invest 74: 82-89. Matsuzaki T, Yamazaki R, Hashimoto S, Yokokura T (1997) Antidiabetic effects of an oral administration of Lactobacillus casei in a non-insulin-dependent diabetes mellitus (NIDDM) model using KK-A(y) mice. Endocrine Journal 44: 357-365. Puddu A, Sanguineti R, Montecucco F, Viviani GL (2014) Evidence for the gut microbiota short-chain fatty acids as key pathophysiological molecules improving diabetes. Mediators Inflamm 2014:162021. Fukumori R, Mita T, Sugino T, Obitsu T, Taniguchi K (2012) Plasma concentrations and effects of glucagon-like peptide-1 (7-36) amide in calves before and after weaning. Domestic Animal Endocrinology 43: 299-306. Gao Z, Yin J, Zhang J, Ward RE, Martin RJ, et al. (2009) Butyrate improves insulin sensitivity and increases energy expenditure in mice. Diabetes Care 58: 1509-1517. Qin J, Li Z, Cai Y, Saxelin M, Riitta K (2012) Ametagenome-wide association study of gut microbiota in type 2 diabetes. Nature 490: 55-60. Pereira D, Gibson G (2002) Effects of consumption of probiotics and prebiotics on serum lipid levels in humans. Biochem Mol Biol 37: 259-281. Tahri K, Grill J, Schneider F (1996) Bifidobacteria strain behavior toward cholesterol: coprecipitation with bile salts and assimilation. Curr Microbiol 33: 187-193. Nordgaard I, Mortensen PB, Langkilde AM (1995) Small intestinal malabsorption and colonic fermentation of resistant starch and resistant peptides to short-chain fatty acids. Nutrition 11: 129-137. Kumar M, Rakesh S, Nagpal R, Hemalatha R, Ramakrishna A, et al. (2013) Probiotic Lactobacillus rhamnosus GG and Aloe vera gel improve lipid profiles in hypercholesterolemic rats. Nutrition 29: 574-579. Mazloom Z, Yousefinejad A, Dabbaghmanesh M (2013) Effect of probiotics on lipid profile, glycemic control, insulin action, oxidative stress, and inflammatory markers in patients with type 2 diabetes: A clinical trial. Iran J Med Sci 38: 38-43. Hatakka K, Mutanen M, Holma R, Saxelin M, Korpela R (2008) Lactobacillus rhamnosus LC705 together with Propionibacteriumfreudenreichiisspshermanii JS administered in capsules is ineffective in lowering serum lipids. J Am Coll Nutr 27: 441-447. Simons LA, Amansec SG, Conway P (2006) Effect of Lactobacillus fermentum on serum lipids in subjects with elevated serum cholesterol. Nutr Metab Cardiovasc Dis 16: 531-535. Chang B, Park S, Jang Y, Ko SH, Joo NM, et al. (2011) Effect of functional yogurt NY-YP901 in improving the trait of metabolic syndrome. Eur J Clin Nutr 65: 1205-1205.